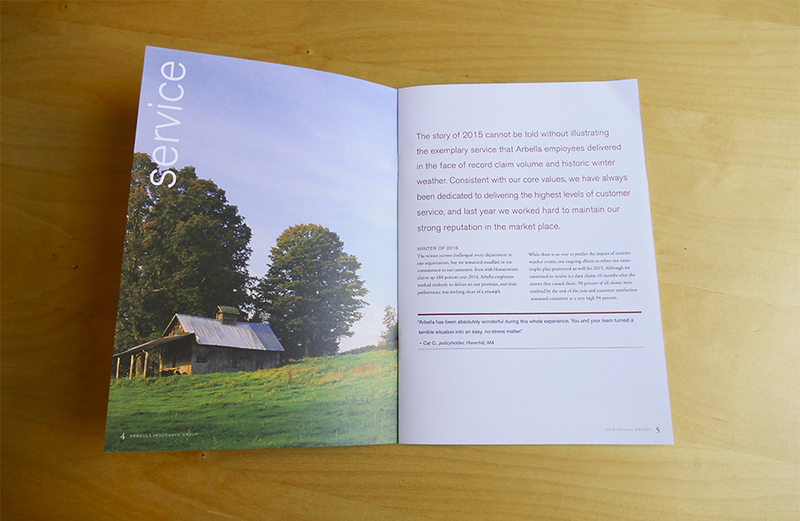 Arbella Insurance wanted to create an annual report that represented a challenging year for the insurance industry while presenting a sense of clear business continuity and stability. Arbella Insurance is a regional insurance company that is known for their excellent customer service, relationship building and community involvement. 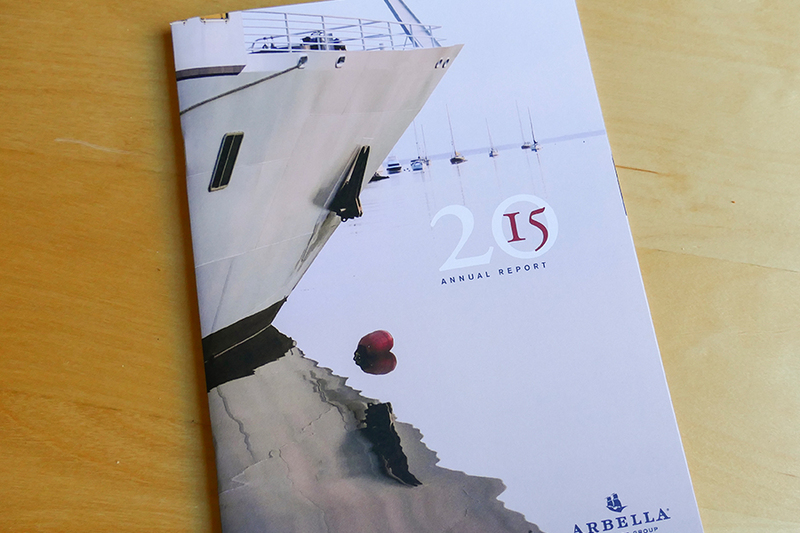 Roycroft Design was engaged to develop the 2015 annual report for Arbella Insurance. 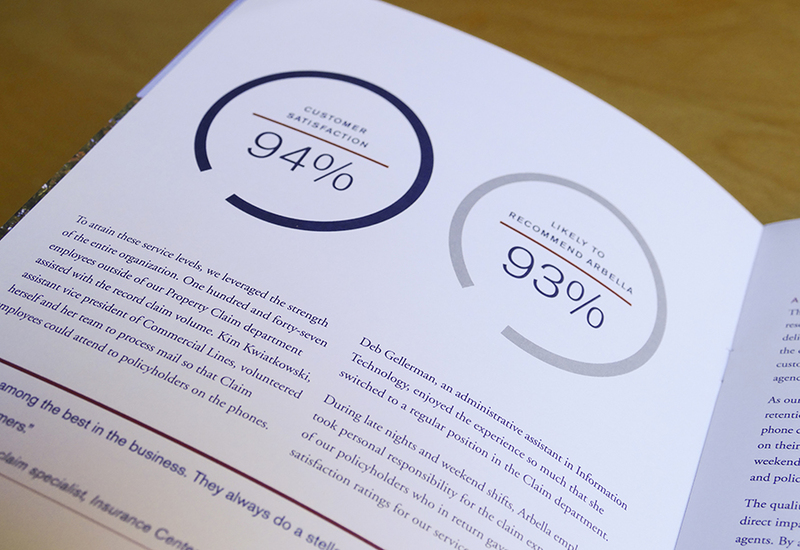 Through thoughtful use of photography and purposeful design of typography, we produced an award-winning annual report that not only met our client’s requirements but also further developed their brand.